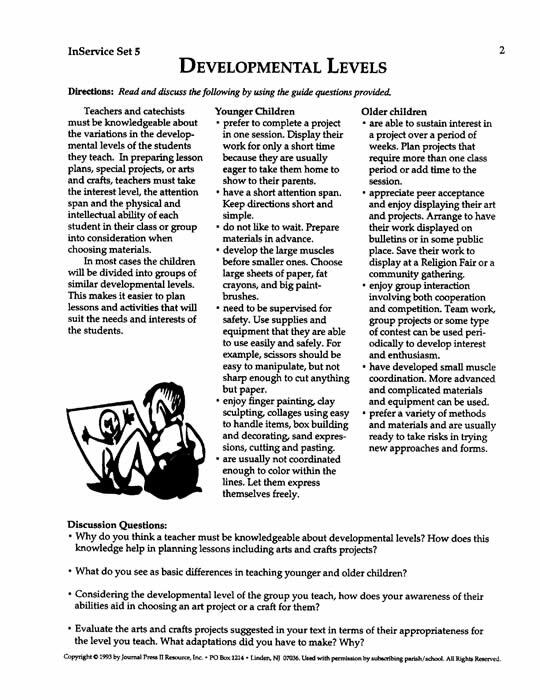 InService 5: Using Arts and Crafts in Rel.Ed. 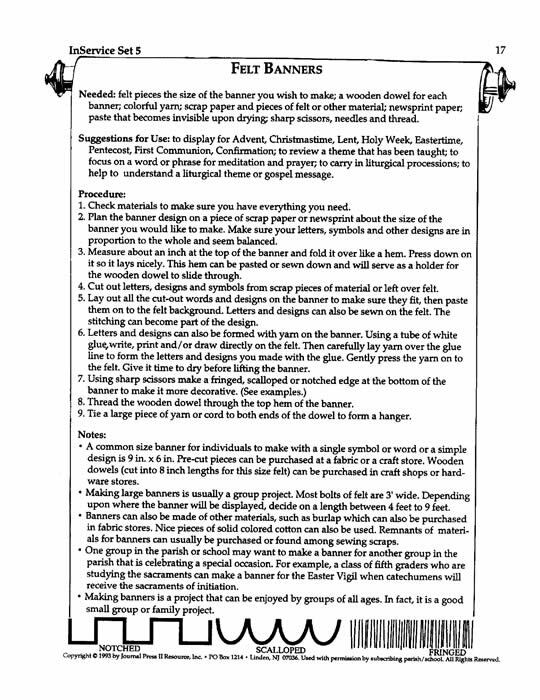 Offering numerous practical ideas, suggestions, and guidelines for the creative use of ARTS and CRAFTS in Religious Education. Your purchase (below) will enable the placement of the InService Set 5 MasterSet PDF on your computer. You will receive an e-mail to enable your immediate download for the set. InService Set 5: Using Arts and Crafts in Rel.Ed.